Blades of Glory is a 2007 American Sports comedy film directed by Will Speck and Josh Gordon and released on March 29, 2007 by DreamWorks Pictures. The closest font we can find for the film title in the poster is Bullet Small Caps, which is a display sans serif font produced by House Industries. The font was inspired by connecting script lettering that characterized metal nameplates on industrial products during the early 20th century. The Bullet font identified above is not available for free, please follow the link above and purchase the font. Meanwhile, you can take a look at our collection of fonts for cars, pop music and apparel as well as round-ups of new & fresh fonts around the web. 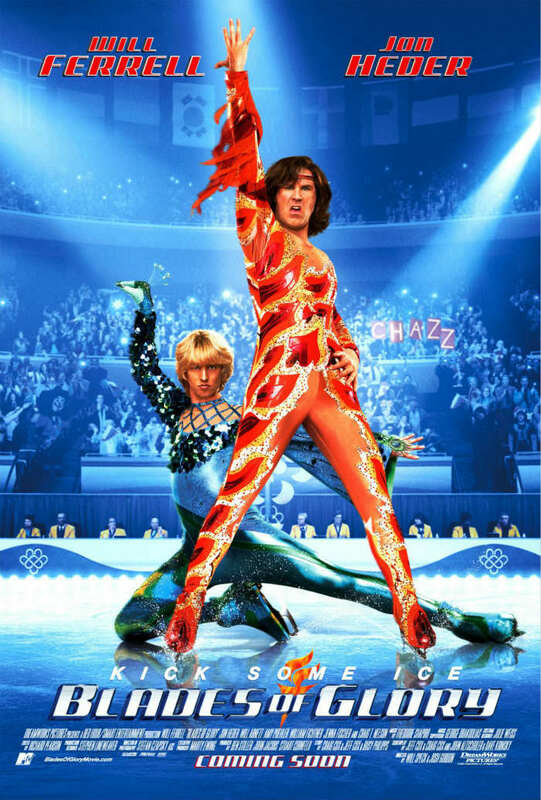 In addition to Blades of Glory, It seems we can’t find other examples (logos, movie posters, album covers etc.) of Bullet typeface in use.